Rediscovered Classic and New Classic! So I was scrolling through my IPod the other day and ran across this older Roots track called " The Hypnotic Remix" or " The 'Notic". Believe it or not, I think it is from the Men in Black Soundtrack. This track is dripping with soul! In a time where Neo-Soul oversaturated the market, and dread-locked sandal wearing poets were on every corner, this track rises above the crap! With guest vocals by Erykah Badu and D'Angelo (singing a classic Earth, Wind, and Fire hook), it's a wonder how this track flew under the radar. One of my new favorite tracks is on one of my new favorite albums. 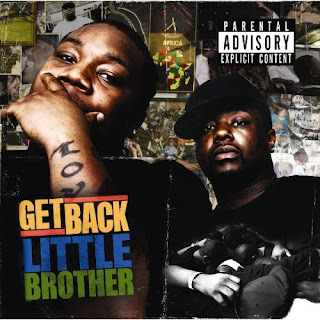 Little Brother (Phonte and Big Pooh) have dropped their latest album Get Back (big up on the ol' EPMD font! ), and without fail, Little Brother manage to create yet another hip hop classic. In an ocean of "Wipe me Down", "Aye Bey Bay" and "Crank that! ", Little Brother is breath of fresh air for those of us who are suffucating on Bull S#*t! Check out "Good Clothes", and support good music!